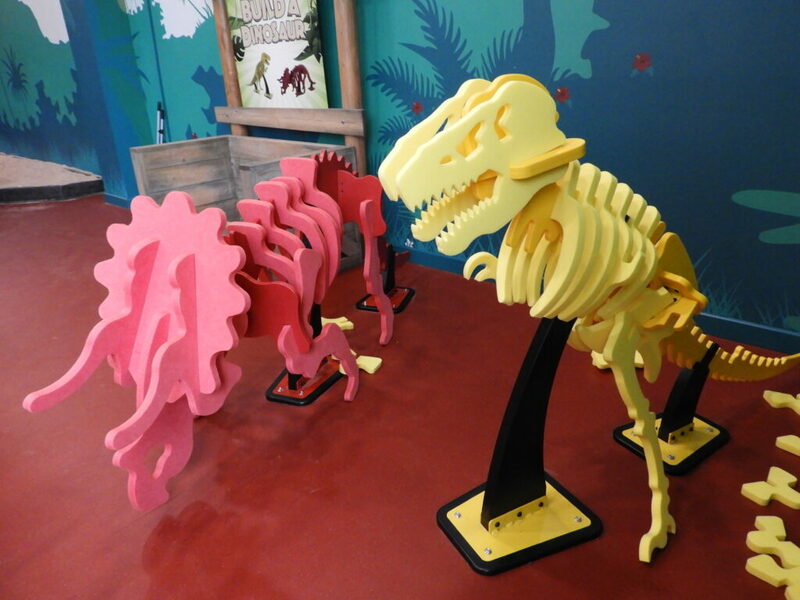 Love dinosaurs? 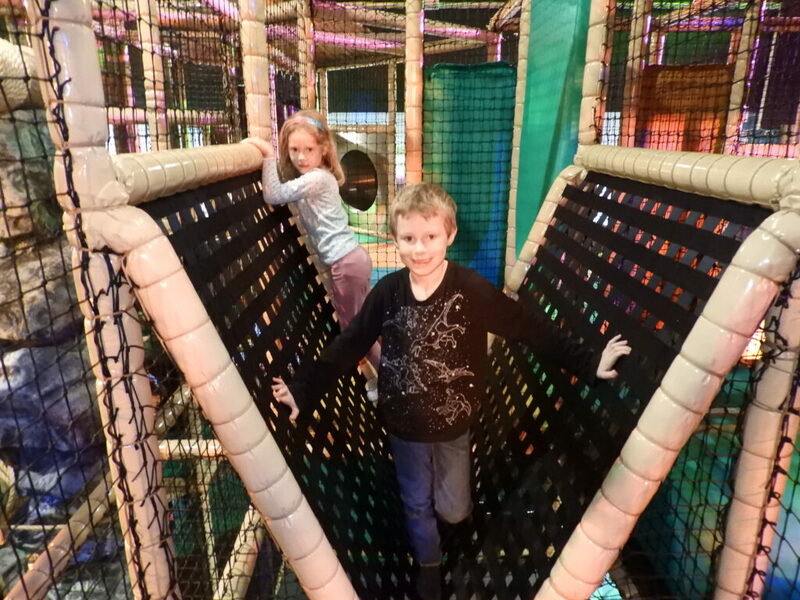 Love soft play? 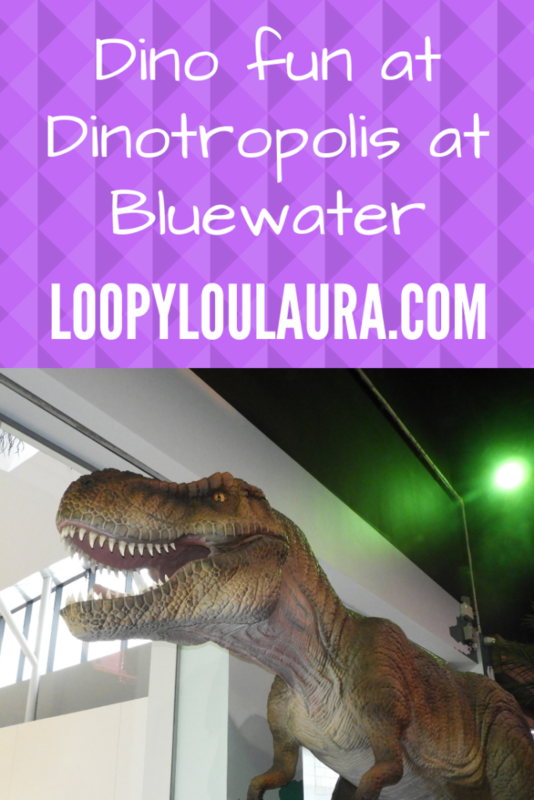 Look no further than Dinotropolis which has newly opened at Bluewater shopping centre! We went along on Saturday. You can just turn up at the venue but they recommend that you book online to avoid disappointment. All sessions are 90 minutes and there are 3 different levels of access: explorer, discovery and ranger, and adults pay £5 for entry which includes a drink. 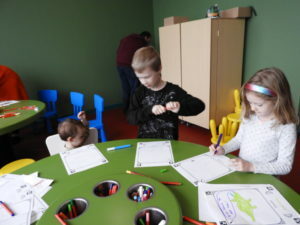 We had discovery tickets which includes all activities but no food. The kids were hugely excited to spot a big T Rex and Triceratops in the window and couldn’t wait to get inside to get up close to the animatronics. The dinos were moving and breathing which they found hugely exciting. Zach was a little unsure but couldn’t help being fascinated. We headed to the back of Dinotropolis where there is a big naturally lit area for children to use their imaginations and be creative. There was an amazing sand pit where a picture of dinosaur life was projected on top. 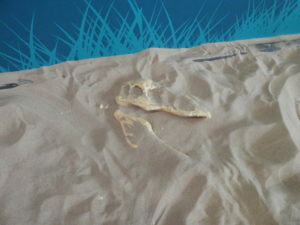 There was another sand area with a fossil buried inside.There were huge jigsaw bones to put together. 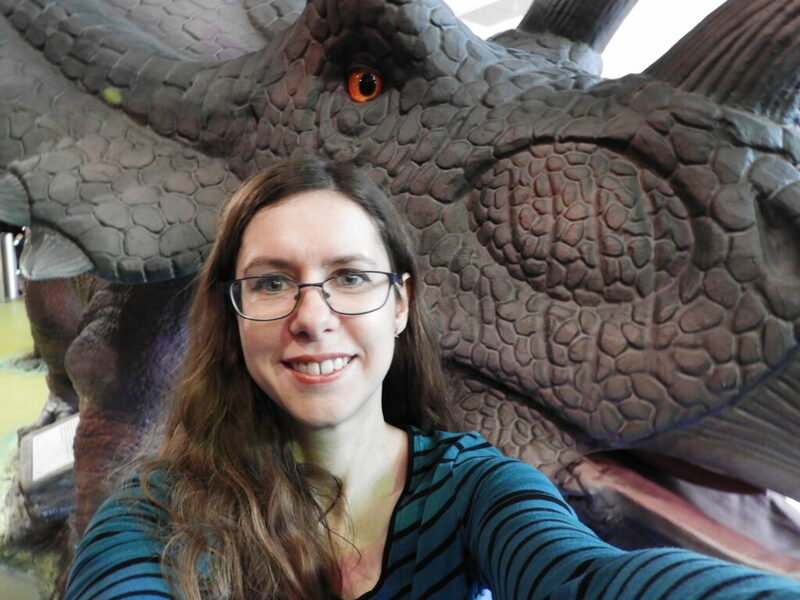 But the thing that captured everyone’s attention was bringing your dinosaur creation to life. 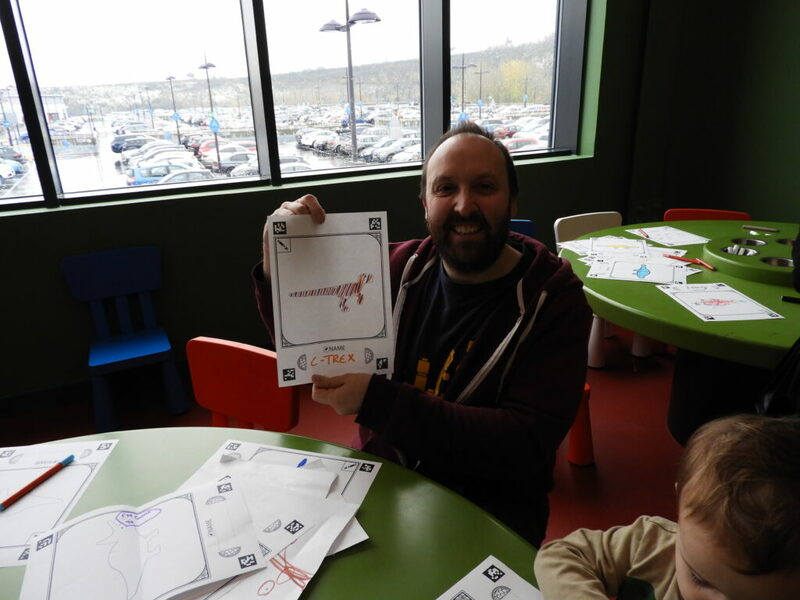 There were colouring sheets and pens available to design your dinosaur. 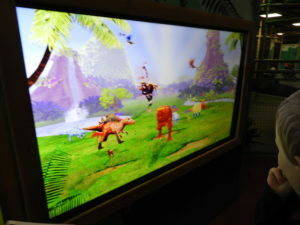 Then you scan it into the computer and within a few seconds it appears on the screen! 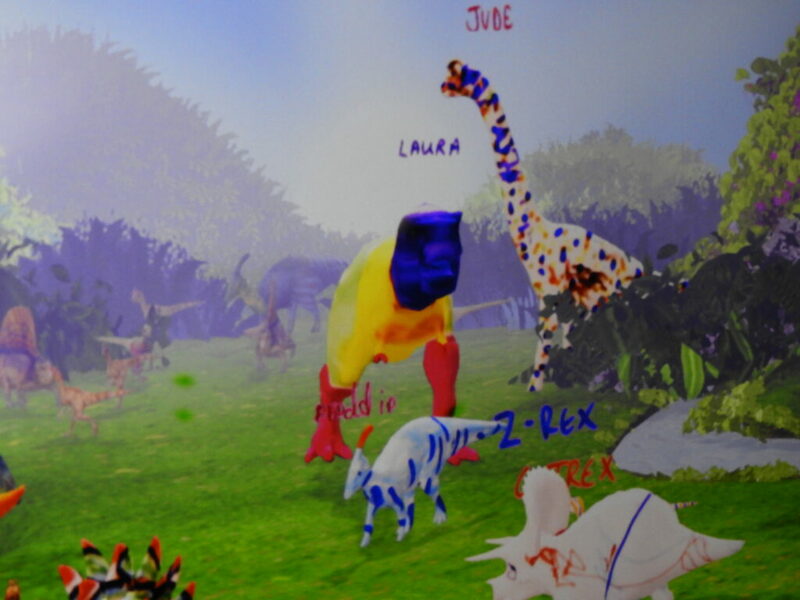 The children wanted to stay and fill the screen with their dinosaurs but instead I let them loose into the main part of Dinotropolis: the soft play areas. There are 2 areas to suit different ages. Matthew and Anya were straight into the ‘jungle’ and I didn’t see them again for ages! Zach spent about half an hour doing circuits on the slide. When I finally retrieved the older two, I took Matt and Anya to the dino escape room. 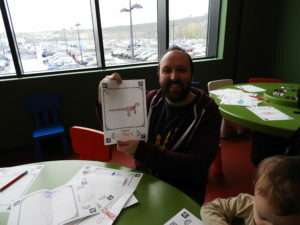 This is a room with lasers in (reminded me of a Crystal Maze game, brilliant!). Matthew completed it quickly but Anya was a bit scared as it was so dark and the dinosaur noises made her think there was one inside. 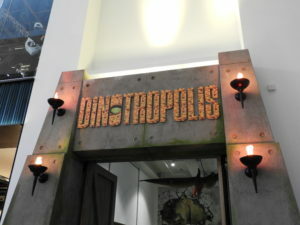 We really enjoyed out time at Dinotropolis and it was lovely to know the children were having such fun. The whole venue felt fresh and clean (unlike many soft play areas I have been to! 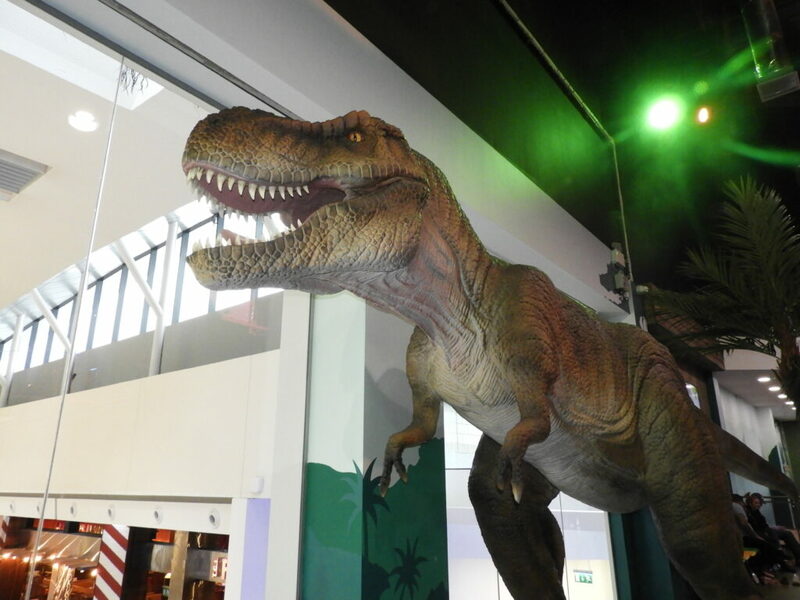 ), and the staff were all very friendly and approachable. For your information: There is a buggy park at the entrance and a cloakroom next to the cafe but most people seemed to put belongings on the chairs dotted around instead. There is also a lift for disabled access. Parking at Bluewater is free for everyone. 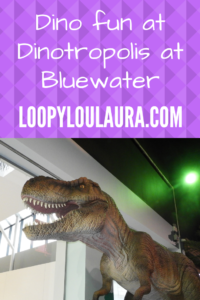 *We were invited to attend and review Dinotropolis. All opinions and photos are our own. Ok wish it was open when mine were young. Sounds just like what I’d have enjoyed taking mine too. How fascinating ! Glad to know that the children were having such fun. It looks awesome. When my children were young I was always trying to find activities that left them tired and not me. 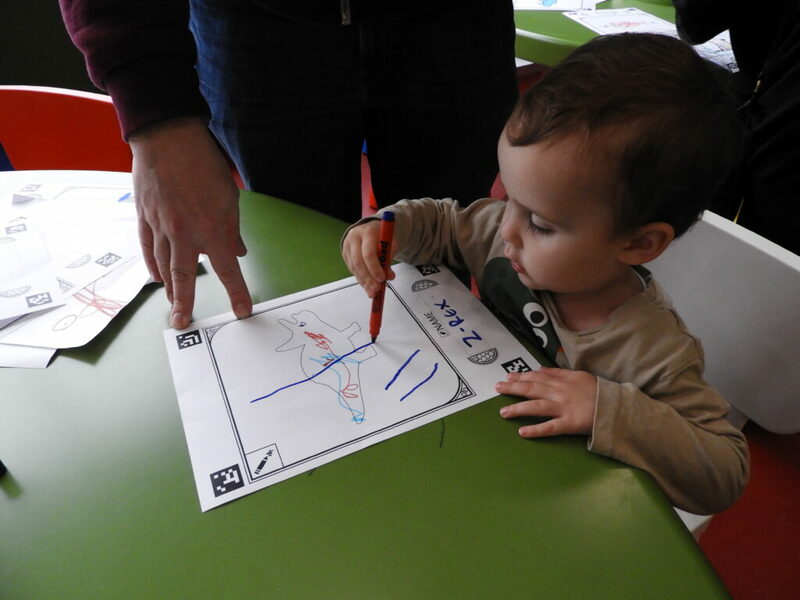 I would think it was quite educational as well and suitable for a good age range. My boys are fascinated with dinosaurs. Dinotropolis looks like a super fun place! Sounds great! 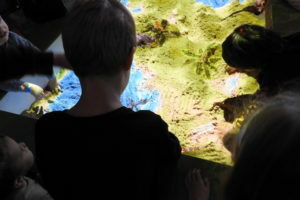 I’d love to take my son here… just thinking about the things to do during winter.